Alana Wallace has more than a few senior activities on her agenda. Wallace, 56, is the founder and artistic director of Dance Detour, an integrated dance troupe in Chicago. As a dancer, her performances include collaborations with prestigious companies such as The Joffrey Ballet of Chicago and Mikhail Baryshnikov's White Oak Dance Project. She is a consultant for O&L Educational Services, an advocate for fully accessible housing, and a popular public speaker. Wallace is stamp collecting enthusiast, and a member of the Ebony Society of Philatelic Events and Reflections. 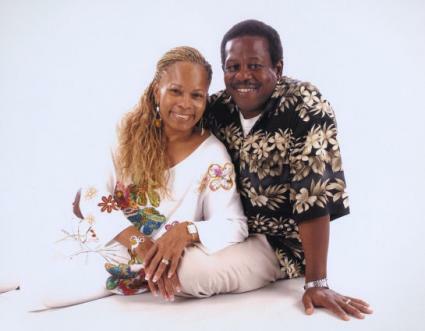 She is the mother of four adult children and lives with her husband, Cornell. She is a former Ms. 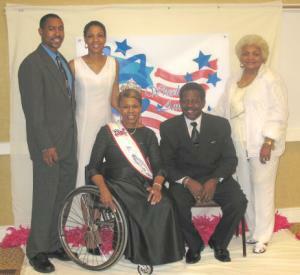 Wheelchair America and also the 2007 Ms. Wheelchair Illinois. 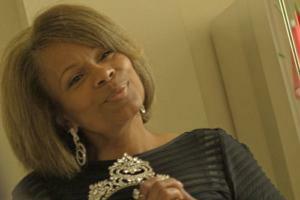 In this LoveToKnow Seniors interview, Wallace shares her passion for dance, advocacy, and life. When many people think of someone using a wheelchair, the last thing they expect is to see someone dancing in one. When did you start dancing? Actually, I've always been in the arts, theatre and music specifically, but just like everyone else, I didn't think I could be taken seriously in dance. So, for me, dance was a hard sell. I saw a professional integrated dance company about 12 years ago, and was amazed. 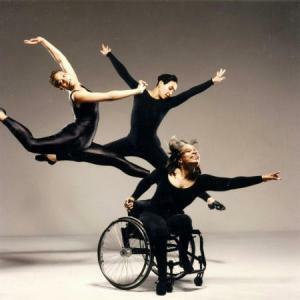 This particular company had people in and out of wheelchairs, and actually incorporated the chair in the dance. It was the first time I realized that dance might be possible for me. My first attempt didn't work - it was very center-based, using a lot of abdominal and back muscles, and because of spinal issues, I'm not flexible enough to do those movements. But that was just one technique. Another dancer told me that I should just move in the ways I could move, so that's how I dance now. Once you discovered you could dance, what kind of impact did that have on you? I didn't start dancing until I was 45, so at that age, after living the majority of my life never thinking it was possible, something really clicked for me. It just took me somewhere else - with my knowledge, my spirit, confidence, body image, everything. How did your dance company, Dance Detour, get started? I knocked on a lot of doors, asking people to dance with me! Fortunately, there are many people that understand what dance truly is and who can be involved, without limitations to the range of ability or how old you must be. For me, getting a message out through dance is sometimes more powerful than an hour-long speech. That lift out of the chair for me is the best demonstration of freedom and ability, especially to people who might think otherwise. What does it mean to you to dance? It's a freedom that I've never experienced. It's an acceptance of my own body. I've shown myself that I have capabilities that I didn't know were possible. If a small iota of this gets across to others about people with disabilities, especially through integrated dance, where everybody is different and yet moving together…again, it's an important message. It's a formula for what the real world should be. Well, just a few days ago, I hand-cycled for the first time! I had the great opportunity to meet Tammy Duckworth, an Army pilot and double-amputee who was injured in Iraq. We talked about the reality of people who use chairs not getting enough cardio exercise, and how hand-cycling is a great option. It might just be my new thing! And of course, dance rehearsal helps keeps me fit. I do crunches sometimes, and the resistance bands are very good. I also watch what I eat. I don't eat a lot of red meat, and everything else is in moderation. Mostly, it's just making a point to stay active, finding a new challenge to take on every day, and being willing to try a new thing. You're never too old to stop learning and trying. It keeps you feeling good. What does age have to do with accomplishment? Well obviously, I don't like to think of anyone having barriers to what they can do. Take for example what Ms. Wheelchair America can or cannot be. The program obviously doesn't judge anyone on physical characteristics, but it's also not automatic to immediately think of someone 56-years-old participating. So, since I'm at the opposite end of the spectrum, I looked at entering the program as just another challenge to take on. One of the advantages of getting older is that I'm mellowing with age and becoming comfortable in my skin. I feel my getting older now plays a part in how I express myself, my confidence, and how I'm actually enjoying getting older! It's just like I embrace my disability, just like I'm comfortable in my body. Since anyone can encounter the challenges of a disability at any time, what to you encourage able-bodied people to think and do now? It's hard to ask someone to walk a mile in your shoes. But first of all, you really want able-bodied people to get to know people with disabilities, to look for the similarities. The only way to do that is to be around a diverse group of people. Expand your friend base - that's the only way you're going to understand the issues. It's frightening, sure. There's a lot of fear wrapped around disability. But the fact is one in four people have some type of disability. People seem to feel that disability is the worst thing that can happen to you. But having a disability has heightened my sensitivity. I feel blessed, actually. The absolute worst thing that can happen to you is to be filled up with prejudice and hate. Having a disability doesn't keep you from living a full and productive life. Yes I do. I tell people in 1956, I contracted polio. And I've gone on with my life since. My parents never coddled me! They made me do the chores anyway. If I said, "I can't stand long enough to do the dishes" I was told, "Well, then, pull a chair up there." I was taught how to be resourceful and adaptive. Now, I have a blessed, wonderful life. I don't bury myself in the victim story, and I really don't think the emphasis always needs to be on the fact that people with disabilities are victims or survivors or patients. I don't wish my disability away. I continue to wish for understanding of everyone's situations. People say, "You're so inspirational" because I'm a wheelchair user. I don't know if the heroic angle is really accurate. I don't want to be applauded for simply going on with my life. That's why I went into the arts. I wanted to say in a big way, "It's okay for you to look at us! It's okay for us to be seen!" Because remember, not too long ago, people with disabilities were shut away, institutionalized. Tell us a little about what you hope to accomplish as Ms. Wheelchair Illinois. Well, what I really hope to accomplish is to dispel the stereotypes about people with disabilities. Yet there are many types of barriers, not only physical barriers like accessibility issues, but attitudinal barriers as well. I've been listening to the presidential candidates, and they're not addressing issues of disability. But as we age, these issues affect all of us. I'm trying to find a way to speak to local and national candidates, because I don't hear anyone honing in on this voting population. My main platform deals with the importance of accessible housing. There is nothing more basic than having a safe place where you wake up in the morning and where you lay your head at night. And as we age, many seniors want to be able to remain in their homes, so this isn't just an issue for someone using a wheelchair. I recently purchased a new condo, and it was a horrendous experience to work with developers and builders to develop accessible accommodations. It's important to get everyone used to the practice of universal design that encourage points of accessibility - no-step entry, first-floor bathrooms, wide doorways and hallways, that type of thing. Why do you believe this message is important for everyone to hear? Because today or tomorrow, your home can suddenly no longer suit your needs, and represent frustration and danger. We need to have homes that will work for us, our loved ones, visitors, and aging parents. What could you change if you were granted one unconditional wish? It would be for world peace. I know how corny that sounds, but mommas don't send their babies off to war. So for me, peace and understanding among people of cultural differences and backgrounds. That's the big one. When I think about something right here in front of me, it would be to hold my first grandchild. Snuggling right up to it. Yes, that's what I'd wish for right now! Her MySpace page, a social networking website. "The kids use this site all the time, but it's taking me some time to get use to it!" Wallace says. The Ms. Wheelchair America Program. A nonprofit organization that aims to promote the abilities of women who use wheelchairs. The program is not based on external beauty, but on the accomplishments of individuals since the onset of the disability. Currently, 27 states in America send delegates to compete in the national Ms. Wheelchair America program. If you live in an area without state representation, or know of someone who will make a wonderful representative, contact the national director.